Jacqueline Balderrama lives and teaches in Salt Lake City where she is a pursing a Ph.D. in literature and creative writing at the University of Utah. She is the first-place recipient of the statewide 2012–2013 Ina Coolbrith Memorial Poetry Prize. Her poems have been nominated for the Pushcart Prize and been published in Poet Lore, Blackbird and other journals. She serves as Co-Poetry Editor for Quarterly West, as Poetry Editor for Iron City Magazine, and as a contributing writer for WILD. Balderrama completed her MFA degree in poetry at Arizona State University (ASU) where she taught and served as Poetry Editor for Hayden’s Ferry Review. While at ASU, she received Virginia G. Piper Center Fellowships including two for international writing residencies in Asia during the summers of 2014 and 2015. 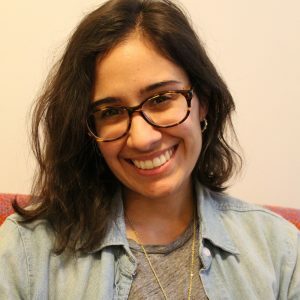 She was a participant in 2014 and the event coordinator in 2015 for the Letras Latinas literary initiative, which strives to build community between Latina/o writers within various MFA and PhD programs. She was also involved with the ASU Prison Education Program as a volunteer instructor at Florence State Prison, Arizona Dept. of Corrections where she co-taught a weekly creative writing workshop with fiction writer Gary Garrison. Her work is interested in the exploration of voices and otherness.